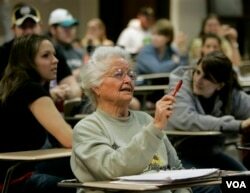 How Old is Too Old to Start College? When I look back to earlier this year at my decision to go to the U.S., I remember how scary it was. I was dropping my studies in my own country, Indonesia, to enroll at a college in America, and I had many worries before making this decision. Questions suddenly rushed into my mind: Am I physically too short? Will people make fun of my funny accent? Will I be able to adapt to their environment? But what worried me the most was this question: Am I too old to enroll to college now? Let me tell you about my situation at the time. I was registered as an accounting major at Parahyangan Catholic University, Bandung, Indonesia. Earlier in 2010, I found out that my father would be posted to the Indonesian Embassy in Washington, D.C., and he asked me whether I wanted to go too and continue my studies in the U.S. It was already my sixth semester when I got this news, so I didn’t know how to respond to his offer. After getting some moral support from my counselor and my friends, I started to search for information about college life in the U.S. I looked it up in the internet and looked at some college websites. I went to Edlink Indonesia and AMINEF to get advice. At AMINEF, when the counselor found out that I was 21, she assumed that I was applying for a graduate program. It was a funny misunderstanding, but at that exact moment, it struck me that I may be too old to start over pursuing my studies at a new college. Age became my biggest worry about studying in the U.S. When I applied to Montgomery College, I had just turned 22. Back in my country, it’s not a common thing to start pursuing an undergraduate degree at that age. 22 seemed too old to start studying in college. At least, that’s what I thought at that time. My first class at Montgomery College was an ESL class for international students, which I took in the summer before I was set to start my undergraduate degree there. We started by introducing ourselves, and I quickly found out that most of my classmates were even older than me. Some of them were already married and had a job. My professor even expressed sympathy for the male students in our class, because all the girls were married and we couldn’t hit on any of them. I remember having a conversation about this topic with an Ethiopian guy that I met while we both were in line waiting for the international student adviser. Out of nowhere, he asked me to guess his age. Trust me, it was awkward! There was definite silence until I answered his question. I made a wild guess and said that he looked 28, just to be polite. It turned out that I had the wrong answer; he was actually 30. And then he asked me if I thought that he was too old to go to college. I told him that age is not a problem. But in my own head I added, “Maybe.” I still just wasn’t sure at that time. But in this current semester, I became more open minded about this age issue. Apparently, a lot of adult students take courses in my major. There is even a person in one of my classes who is older than the professor. I started to realize that this is a common thing in the U.S., and people don’t mind adult students pursuing their studies. 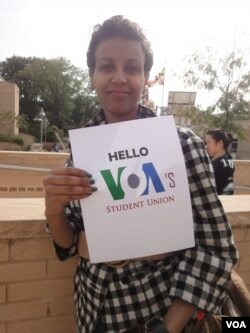 My friend Salam from Ethiopia told that her mother started college in the U.S. when she was 53 years old. Everybody around encouraged her, and as a result, she became an honor student. Salam herself started college in the U.S. at the age of 23 to study photography. Stephanie, a friend from South Korea, told me she thinks that adults have an advantage over younger students and can actually be more successful. The reason is that adult students don’t want to waste their time anymore and this makes them study hard. She is 38, and is going to college in order to get a better job.